We don't want to be invisible anymore! Thousands of disabled godly Christians, of which I am one, see things like this and cry. We cry because we seem to be totally invisible to the rest of our brothers and sisters. They see our caregivers sometimes, but they don't see us. We understand that every born again Christian should be in church if they are physically able to do so. The problem is that we aren't able to. Some of us can attend once in a while, others can attend like me, once in a great while, and still others simply cannot attend at all. That does NOT mean that we don't grow in our faith or that we're somehow second class citizens of Heaven. We receive the gifts the same as any other Christian that does attend church regularly. While it often seems as though we fight the battle alone, in reality we are never alone as our Lord and Savior is always with us as is the Holy Spirit and our Father. 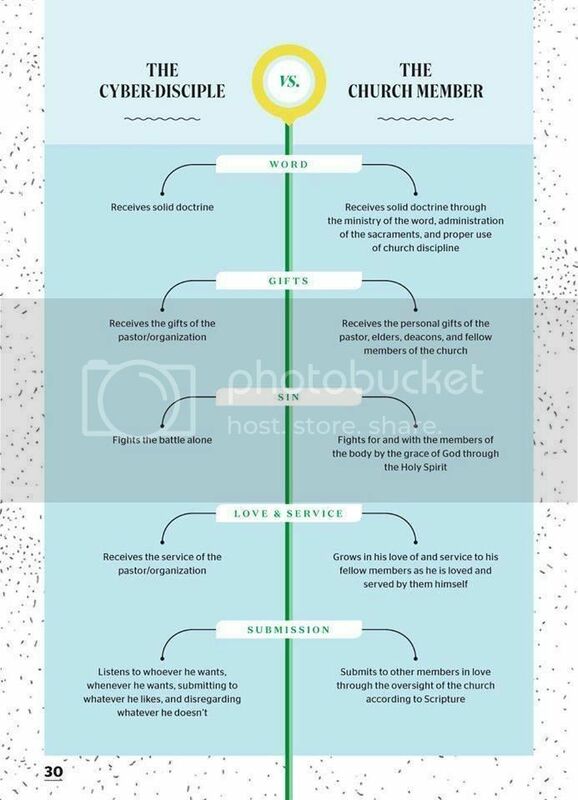 In fact this might be a big difference between us and those who attend church regularly, but not in the way that's presented in things like this graphic. Because we can't attend church regularly, we spend a LOT more time in God's Word then the average Christian does. I know that before I was disabled, when I was going to church regularly, I generally spent anywhere from 1 to 3 hours a day in God's Word, depending on the day and what else I had to do. Since being disabled I've spent between 4 and 8 hours a day in God's Word every single day. God's Word strengthens me and gives me all I need to live a life of victory in Christ. Plus we also often fight for our brothers and sisters who attend church regularly, although they don't know it, and we fight for our pastors who never come to see us. How do we do that? Through prayer. God has made many of us intercessors for the Body of Christ and for our local churches and our brothers and sisters. So yes, we are part of the family of God and we're an active part of it, even though others don't see us or know about it. Those of us with facebook see what others post and we take it on ourselves to pray for the needs we see there as well. Often we don't post that we're praying because that takes time and it's time better spent in actual prayer. While it's true that we are rarely loved or served by our brothers or sisters in Christ or by the pastors, we do grow in love for them as we serve them, knowing our Father sees and that He wills strengthen us and enable us to keep on going and keep on growing. Those of us who are truly saved do NOT listen to just anyone. We listen to godly scripturally correct pastors and teachers and are very careful to guard our minds and hearts and not allow things that go against God's Word into them. The main difference between us and those who do attend church is that we don't listen to one sermon a week. Instead we often get to hear or read one or two excellent sermons every day, on top of our own study. You see, the less we can do physically, the more time we have for prayer, study of God's Word, and sermons. Sadly, you're right in that we often don't have anyone to hold us accountable, but it's not for lack of trying to find someone to do so. The lack is in our brothers and sisters to whom we are apparently invisible, not in us. Sometimes though we do find others like us online and we perform these services to each other there. The internet is often a lifeline for us, since healthy Christians ignore us. No, it's not the same as if we were able to be there physically with each other, but it's better than nothing. Most of us would give our right arm to be able to attend church regularly, or at all for that matter. I know I would. But that's not up to me, it's up to our Lord, and I will submit to His Will and not complain or grumble about it. I know He loves me and that He's with me every moment, and that He enables me to do His Will. So the next time you decide to write about or post a graphic about the importance of attending church, please remember there are thousands of us who would love to but can't, and we need your love and encouragement to. Yes, there are many who aren't really saved, or who've fallen for false teachers, but there are a huge number of us who are just as solid in our faith as you are and things like this really hurt. We don't want to be invisible anymore! If the healthy members of the Church would start looking for us, and ministering to us, then we could have much more of what you say we don't have. We are doing all we can, are you? We don't want to be invisible anymore! "If the healthy members of the Church would start looking for us, and ministering to us, then we could have much more of what you say we don't have." Sadly, it seems they don't want to hear from us.